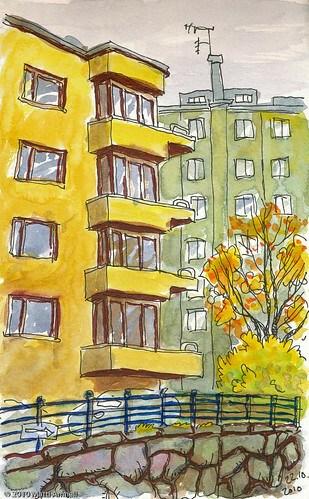 Functionalist Buildings in Kallio, Helsinki, originally uploaded by Brin d’Acier. Kallio (the rock, as it’s built on one of the rare hills in Helsinki) is a traditionally working class neighbourhood. The buildings range from Art Deco to 70s pre-fab. Most are in a pared-down modernist style.